Jim Harbaugh who is the coach of the Michigan Wolverines had the opportunity to meet Pope John Francis while visiting Italy. 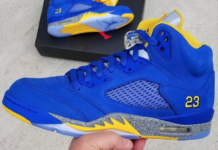 While meeting the Pope is memorable, Harbaugh gave him the Air Jordan 5 Michigan PE. 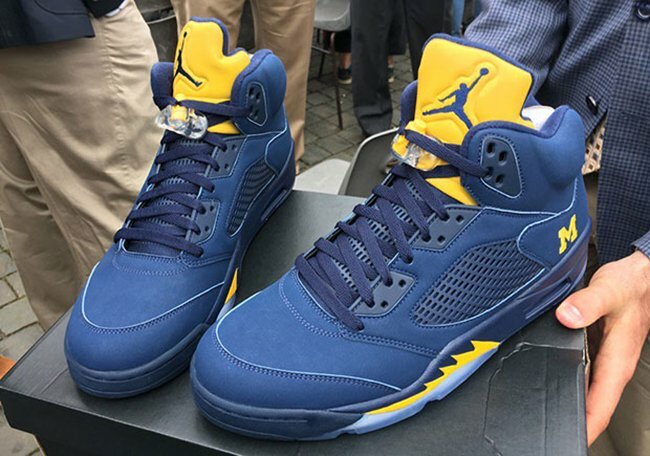 The Air Jordan 5 Michigan PE comes in Blue and Yellow while the Michigan Block logo lands by the heel. In addition to Pope John Francis receiving the sneakers, he was also gifted a Michael Wolverines helmet with the number 266 to pay tribute to John Francis being the 266th Pope. 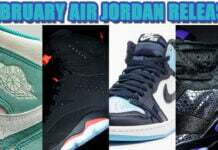 Below you can check out some of the Tweets that were sent out through the process. You can also read more on the visit to Italy at The Detroit News.